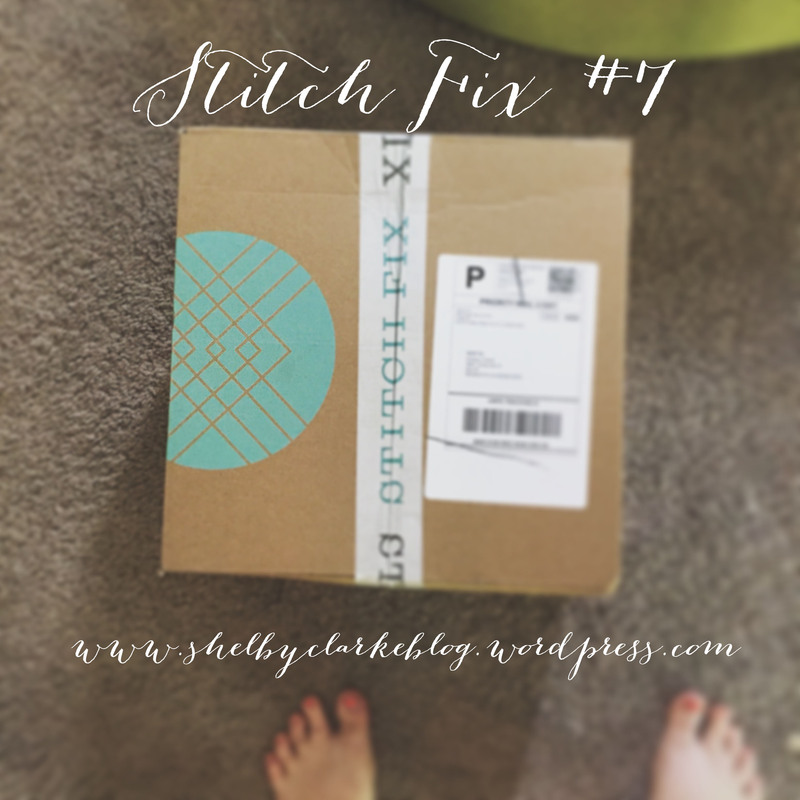 First a little bit about Stitch Fix, first sign up for Stitch Fix, HERE, and schedule your Fix. Before your Fix is styled you’ll get an email asking if you want to leave a note for your stylist, you can let her know of any upcoming events or looks you have been wanting to try. Also throw your Fashion Pinterest board link in there as well, your Fix will be so much better for it! There is a $20 styling fee that is then applied to whatever you purchase from your Fix. Remember you are paying for a service as well as product, so the average price of the pieces sold is around $55. 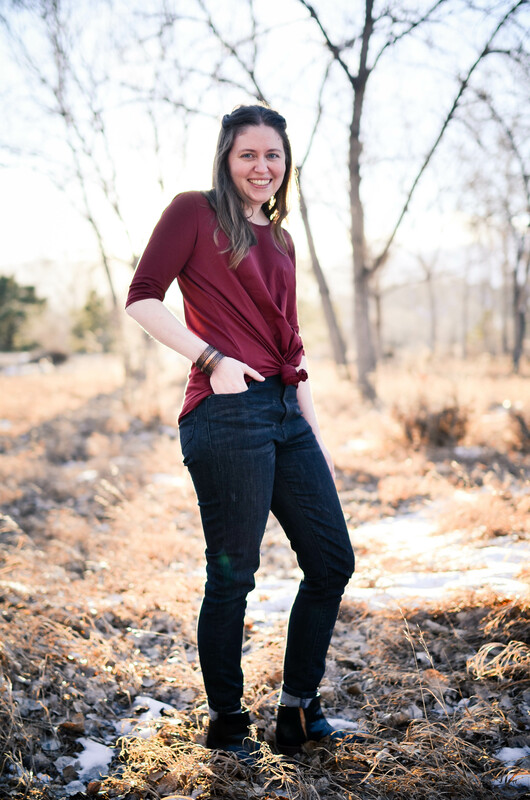 Ok, so you sign up, schedule your Fix, leave your stylist a friendly note and your Pinterest link, then your Fix is sent to one of the amazing stylist that work at Stitch Fix! 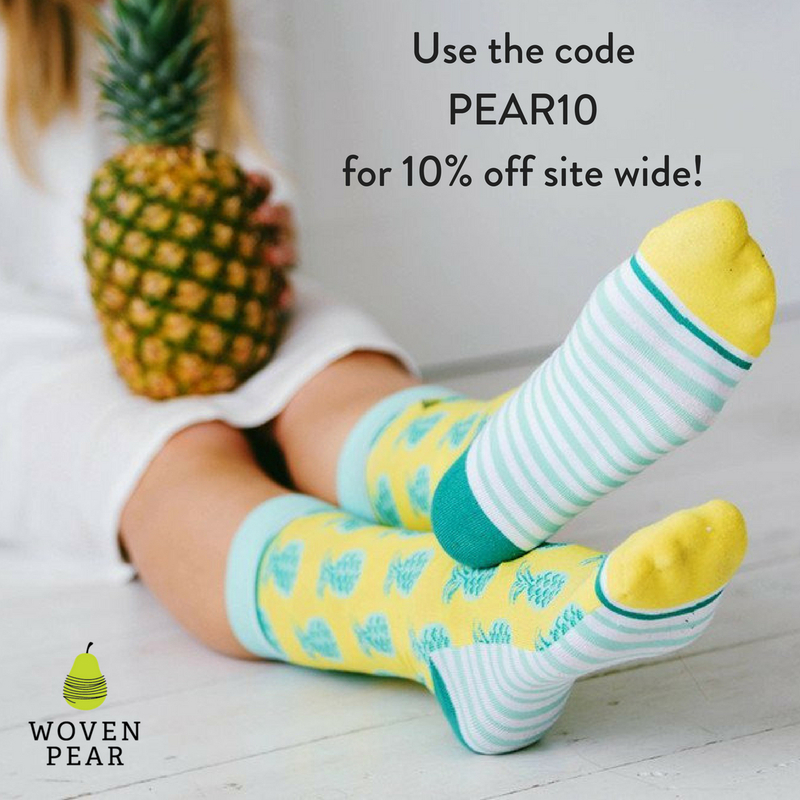 They read your information, discern your body shape and choose items that will flatter you within your price point and preferred style! Your stylist will write you an amazing note on how to wear your new pieces and incorporate them into your wardrobe! 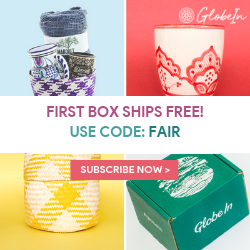 The hardest part is waiting for your box to arrive! Once it does you have 3 days to try everything on and see what works and doesn’t work for you! Then go online, and check out! Send back anything you decide not to keep in the prepaid returns bag. But if you keep all 5 of your items then you get an additional 25% off your order, which usually ends up being the cost of one piece so it is usually worth it to keep all 5. Now the fun part, my Fix! Market & Spruce Corinna in Coral, I have seen this is navy with white stripes, navy with black, gray with white and gray with green but never coral! 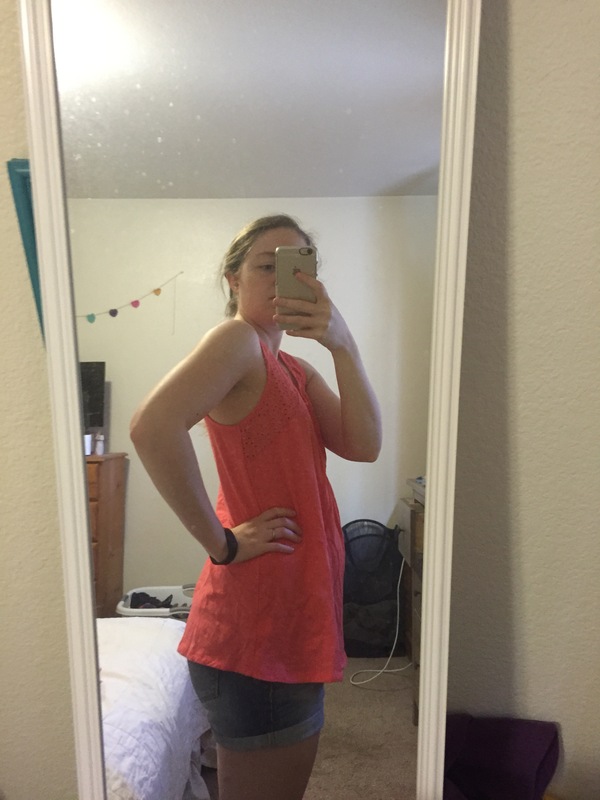 The arms are a little tight, but it is the perfect light weight for summer and fall!! 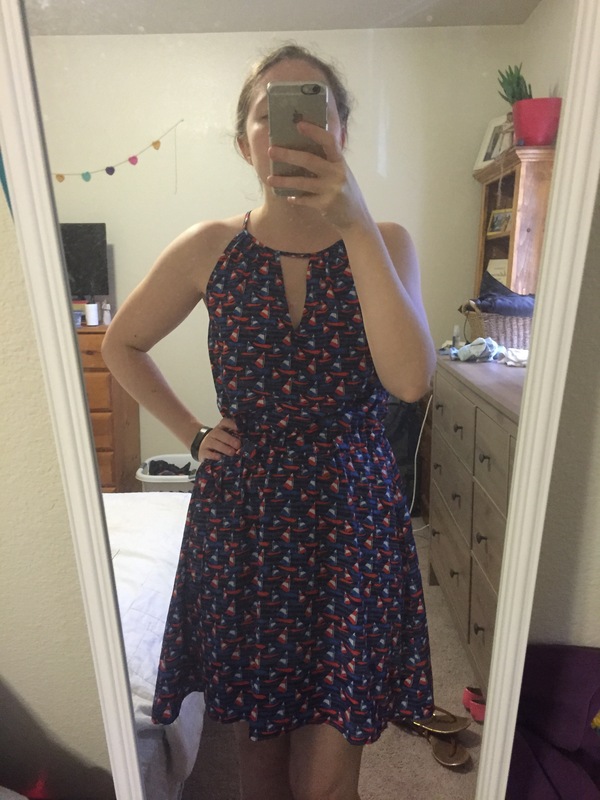 Pixley Tammi Sailboat dress, my maiden name is Sailers so when I saw this a month ago I knew I had to have it and hoped it would stay available. It hits right at my knees and is perfect for summer! The bottom is even lined! Skies are Blue Graciella eyelet detail tank, if this came in an XXS I would get it. It is a little long and it would be perfect if the shoulder straps were a hair shorter bringing the eyelet detail above the bust. 100% cotton and perfect for my trip to Texas next month, although if the weather keeps up, I will need a rowboat and coat not tanks and shorts! 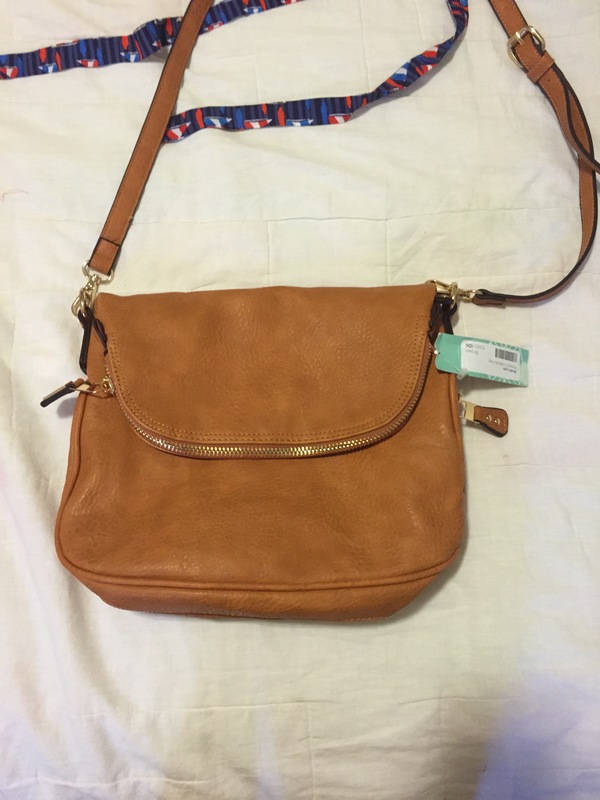 The Moda Luxe Brooks Bag, I am going to Texas in July and then London/Europe in November, so I wanted a crossbody to hold my stuff and still be uber stylish, love all the pockets and it is so soft! Feels like real leather! The bottom even has a zipper to expand the bag if you need more room! 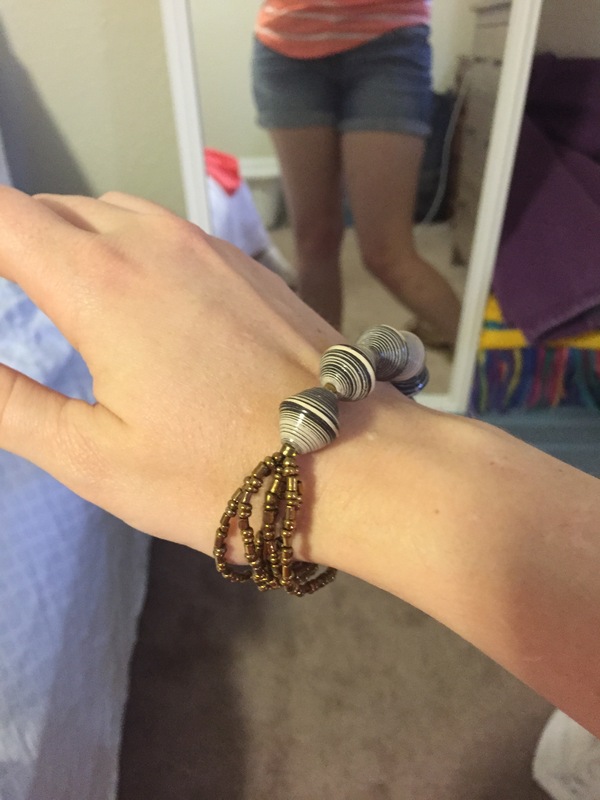 31 Bits, Sardinian Swirl Bracelet, I have SMALL wrists and this fits! It is also lightweight, unlike my pandora which feels almost like I am lifting weights! The neutral gray goes with everything and having the large paperbeads on only one part of the bracelet makes it easy to wear while typing! 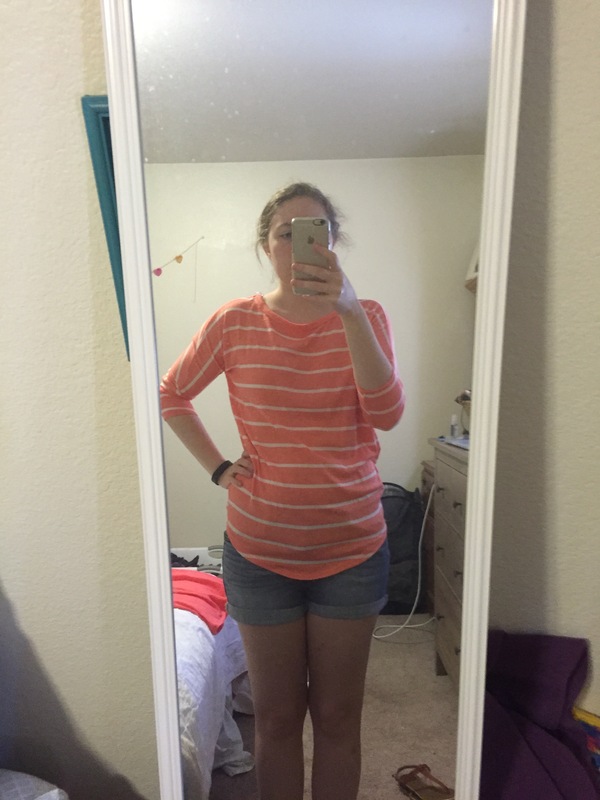 This is my first buy 5 Fix! 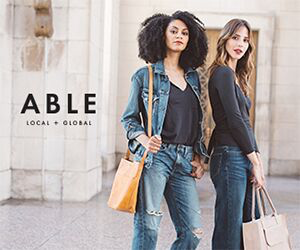 Have you signed up for Stitch Fix yet? What is holding you back?